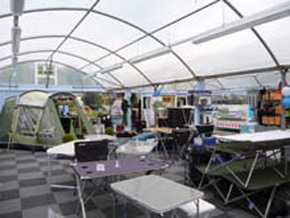 Guildford Surrey, Display Site Please visit our show room within the Sutton Green Garden Centre conveniently situated directly off the A320 Woking to Guildford Road where you will a large range of garden buildings, including log cabins, garden workshops, summer houses, concrete garages and garden sheds. 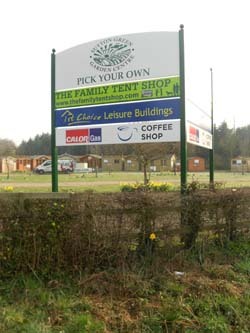 The site is open and manned 7 days a week for viewing as well as obtaining free advice and ordering your delightful new building. Farnham Surrey, Display Site Please visit our show room within the superb Squire’s Badshot Lea garden centre, close to the Shepherd and Flock roundabout on the A31 Farnham to Guildford Road where you will a large range of garden buildings, including log cabins, garden workshops, summer houses, concrete garages and garden sheds.The site will be open 7 days a week for viewing and will be manned most days in the week including weekends. Almost 80 buildings on show seven days a week including timber, steel, concrete and plastic! We positively encourage you to come and inspect the quality of our buildings for yourself by visiting our extensive display centre. Located between Woking and Guildford, in Surrey, we display a selection of products from all of our main ranges of buildings in timber, steel, plastic and concrete. Amazingly there are companies out there who claim it is best not to have show buildings as they are not needed as you can look at their photographs! They claim that we – because we positively encourage you to view – are outdated and that you shouldn’t have to waste your valuable time travelling. This is, of course, Utter rubbish: no photo in the world can demonstrate how strong a door is, how thick a piece of cladding is or how well a greenhouse door slides. Could it be that they have something to hide and they don’t want you to see what you are buying until it is too late? They imply that, if you do like the quality of their building, then you can reject it even after they have delivered and assembled it. Right!! Would you feel comfortable telling two burly guys that don’t want their building? I don’t think so!Take the risk out of buying on the web and view BEFORE committing yourself. Only then will you know that you’re getting what you paid for which is a quality, well-made, garden building. We have been manufacturing garden buildings since 1979 and we had the foresight to be the first company in the UK to sell sheds on the web; hardly outdated. The fact is that forward looking companies recognise that the customer is king and will provide display sites so their products can be viewed. Always ask yourself the question what have the ‘internet only’ companies got to hide. Where is your Woking display centre? 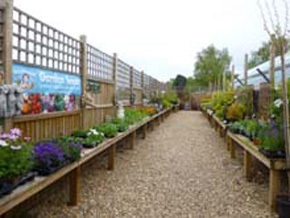 Sutton Green Garden Centre’s opening hours sometimes vary throughout the year so please visit their website to ensure that they will be open before travelling. 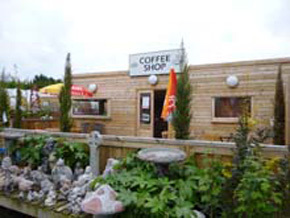 Sutton Green Garden Centre is very easy to find – just ten minutes from the M25 – it is located on the main A320 road between Guildford and Woking. 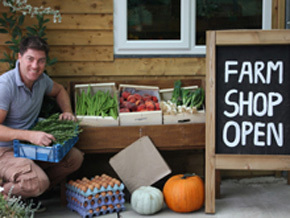 Look for us on the corner of Whitmoor Lane. Just use the following directions and you will find our buildings without any trouble. If you are unsure please don’t hesitate to contact us for assistance. What else will I find when I visit you? When you arrive at the Sutton Green Garden Centre you will find a fully stocked garden centre (a proper one who grow their own plants and which is staffed by people who actually know what they’re talking about), a comprehensive camping store, a fruit farm where you can pick your own strawberries, a coffee shop where you can recharge before driving home or, if you are in more of a rush, a wonderful farm shop where you can buy snacks and supplies for the drive home! With all that and more awaiting you why not make a special trip out of it? For more photos of what awaits why not view our gallery of photos taken around our display area and the Sutton Green Garden Centre. These suggestions have been brought to you in association with TripAdvisor which offers impartial reviews and ideas relating to these suggestions and thousands of others.